More than just Office. The Dell Insprion 1525 scores not only points in typical aspects important for office notebooks, but also regarding a number of multimedia features. Besides a good workmanship, an user-friendly keyboard and a clear design, it also offers, e.g., an up-to-date HMDI port. Inside a Dual Core processor by Intel and two GB RAM ensure sufficient performance. Located right in the middle of the company's line-up, the Dell Inspiron 15 is one of the most versatile and affordable mid-range laptops available, with the cheapest base configuration on Dell's Web site starting at around £300. The Dell Inspiron 15 is extremely customisable, so you can tweak it until you find the version that suits you best, although adding extras quickly raises the price. What won't change are the solid construction and good keyboard. Our configuration handled everyday tasks well, although it's by no means a gaming machine. Dell’s all-purpose notebook offers a bright display, good ergonomics, and helpful software, but multitaskers will want to upgrade the processor. As you might expect with a budget notebook, the $499 Dell Inspiron 15 is a no-frills machine: It lacks multimedia controls or a webcam, and its graphics performance is poky. But for users on a budget with light computing needs and a desire for a screen large enough to watch movies, this machine delivers. Dell's Inspiron 1525 has some of the lowest price offerings available if you are willing to shop around for special offers. Be warned though, Dell has a wide range of configurations and often a system with poor specs can end up with a higher price tag than another. Because of this, shoppers need to be very vigilant about what the Inspiron 1525 comes with. With some vigilant shopping, consumers can end up with a very strong laptop PC for a low price. Dell's Inspiron 1525 is an excellent mainstream choice for basic computing, especially because the direct-from-Dell version is highly flexible, offering extensive configuration options. The Dell Inspiron 1525-139B is a classic midsize, mainstream laptop, but this specific retail-only configuration has a wimpier battery than its predecessor. The Inspiron 15 is definitely a solid notebook. It won’t win any awards for performance since it doesn’t offer the fastest processor or dedicated graphics. It is good for those that want a quality computer that performs well on office tasks and multimedia, but don’t want to spend a whole lot of money. I really like the fact the Inspiron 15 is relative light and thin for a 15.4″ screen notebook. It has most of the port options you could want too. The lid design offerings are nice, though the actually look and shape of the notebook is pretty sterile and nothing as cool as the XPS M1530. Overall the Inspiron 15 is a good buy, will get the job done, but won’t win any design or performance awards. 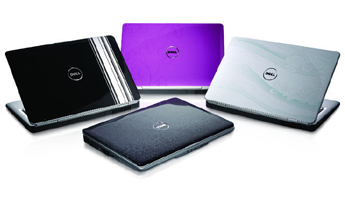 At one time, Dell was the market leader in terms of notebook design and innovation. However, in recent times this simply hasn’t been the case but with the Inspiron 1525 we feel the company is finally back on track. This notebook offers a great machine at an affordable price and is currently one of our favourite family-sized notebooks. The Dell Inspiron 1525 is the textbook example of a midsize, mainstream laptop. As with all Dells, it's highly configurable, and with a few high-end touches such as HDMI output and touch-sensitive media controls, it's good value for students just about to go off to university. There's little not to like about the Inspiron 1525. It's stylish, affordable, powerful and portable. Add the pin-sharp screen and great usability, and you've got a great laptop ideal for a variety of tasks. Dell's Inspiron range is designed to provide power and features for home and family use, without breaking the bank. The Inspiron 1525 (£599 inc. VAT) is a mid-range model that delivers impressive style, performance and usability. The slim chassis weighs 2.7kg and is ideal for basic travel use. Its 278-minute battery life is excellent. To add your own style, the screen panel can be customised from a choice of colours and designs at time of purchase. Adding some features missing from its 14-inch cousin, the Dell Inspiron 1525 is the textbook example of a midsize, mainstream laptop--a basic workhorse with few surprises. It may be a bit large for daily campus travel, but it should last you the full four years. Dell's Inspiron 1525 has some of the lowest price offerings available if you are willing to shop around for special offers. For those looking at the least expensive budget versions, the system tends to lack a few features compared to the average budget laptop system which makes it a mixed offering unless you are willing to upgrade the system. Overall, the Inspiron 1525 is a wonderfully balanced entry level system, offering something for almost everyone - the only exception being gamers. Superb battery life and decent display options are married to a great selection of features, making this one of the best options in the value 15.4in sector. The customisable Dell Inspiron 1525 will please those for whom good performance is a priority. If choice of features is paramount in your budget laptop, the Dell Inspiron 1525 is your best bet among the models in our test group. The customization options of this zippy $999 portable will please picky shoppers, and it's fast, too. If choice of features is paramount in your budget laptop, the Inspiron 1525 is your best bet among the models in our test group. With a complete top-to-bottom revamp of Dell's entire laptop line in mid-2007, why the need for a new mainstream model so soon? While the current 14-inch Inspiron 1420 hits the size/features/performance sweet spot, and the high-end XPS M1330 and the XPS M1530 are slick, thin 13- and 15-inch models, respectively, the middle-of-the-road Inspiron 1520 was always a little too big and clunky for its own good. Taking consumer complaints to heart, Dell updates its mainstream 15-inch laptop with the Inspiron 1525. It's thinner, lighter, and less expensive than its predecessor. Overall, the Dell Inspiron 1525 is an excellent budget notebook with good looks and solid performance. This isn't a gaming machine, but the 1525 can handle everyday computing tasks with ease ... and looks good while doing them. In short, the Inspiron 1525 is exactly the notebook that the Inspiron 1520 should have been in the first place. Even though the 1525 is arriving a little late to the party we suspect it's going to be a very welcomed guest in many homes. With its $999 price tag, the Dell Inspiron 1525 is one of the most “expensive” budget notebooks we've reviewed. Even so, its sleek design, strong dual-core performance, long battery life, and top-notch multimedia components set it apart from the pack. With its strong performance, high-res screen, and long battery life, it’s easy to see why the Dell Inspiron 1525 is our favorite mainstream budget notebook. The addition of a webcam and an HDMI port are just icing on the cake. With a new look and a slimmer design, the Dell Inspiron 1525 is poised to provide a seamless computing experience for mobile consumers and deskbound home-theater enthusiasts. It inherits many of the cool features from the Inspiron 1520 while adding one more, the HDMI port. Unfortunately, the slimmer design also means that it had to forgo an option for dedicated graphics. A thinner and lighter Inspiron 1525 is guaranteed to boost mobile productivity, but gamers will be disappointed by the lack of graphics options. The Inspiron 1525 is definitely a solid notebook. It won't win any awards for peformance since it doesn't offer the fastest processor or dedicated graphics. It is good for those that want a quality computer that performs well on office tasks and multimedia, but don't want to spend a whole lot of money. I really like the fact the Inspiron 1525 is relative light and thin for a 15.4" screen notebook. It has most of the port options you could want too. The lid design offerings are nice, though the actualy look and shape of the notebook is pretty sterile and nothing as cool as the XPS M1530. Overall the Inspiron 1525 is a good buy, will get the job done, but won't win any design or performance awards.